Perhaps I should apologise for starting this article with a little bit of background detail about my own financial planning journey. However, I promise that it is relevant! I developed an interest in financial education in 2003 after a meeting with a financial adviser. Though I had reached the top of the UK formal education system by achieving a PhD, I had not been taught personal finance at university and was ignorant of money matters. Fortunately, I was brought up in a culture where I was taught prudence and to be careful with money and so I was able to live within my means. However, when our children came along, I became frustrated and stressed as I did not know how to improve our situation to cope with the increased financial demands that having a family meant. To help us to try and work things out, my husband arranged for us to see a financial adviser. That meeting was truly life changing for me. Rather than focusing on talking to us about products such as life insurance or ISAs, the financial adviser asked us three simple questions: what did we want to achieve in life (goals), what was our financial situation (net-worth), and when did we want to achieve these goals by (timescale). On an A4 sheet of paper, he sketched out our situation and aspirations. The meeting was so liberating because it was then I realised that we did not need to carry all our financial worries alone and that there are professional advisers who could help us work things out so that we could achieve our goals in life. I felt inspired because for the first time my goals and objectives became articulated, recorded and discussed. I also felt empowered because we now had a clear map of our future. Wow! I now understood how financial advisers and planners can play such an important role in helping people improve their lives. I was hooked. With this realisation, I changed my career as a university lecturer and re-trained as a financial planner. I quickly educated myself by taking all the relevant financial services exams. I loved the learning process as I could use the knowledge I was gaining in order to help my friends, family and also clients. In the process, I also reaped the benefits of feeling in control and confident about my own future. Fast forward a few years, I have now passed more than 18 exams to qualify as CFP professional and a Chartered Financial Planner – in addition to having achieved financial security for myself and my family. I am driven by my desire to help the wider community to improve their financial capability. As well as through my work, my goal is to use whatever tools I have at my disposal to make a difference. This involves writing books and also to run financial awareness workshops so that we can introduce more people to this life changing experience. Financial education is now more important than ever. As a society, we are living longer and so each of us needs to ensure that we will have enough money to last us throughout this longer life span. Yet, the fact remains that many people in the UK are simply not saving enough to provide them with the security they want and need. More than 9.45 million people are reported to have no savings at all and the savings ratio in UK has reached its lowest level while personal debt has risen to a record height of £1.5 trillion (The Money Charity). More worryingly, the Money Advice Service reports that more than 8.3 million adults in the UK are living with the problem of debt. Given these statistics, it is not surprising that money worries are a major source of stress for UK employees – a situation which, as well as causing all sorts of problems for millions of workers in the UK, also inflicts an enormous cost on employers. Financial anxiety affects employees’ ability to go to work, their concentration at work, and their productivity and performance. 17.5 million working hours are lost annually as a result of employees taking time off work because they are experiencing financial stress. The overall cost of lost productivity, absenteeism and employee turnover amounts to £120.7 billion every year (CIPD, 2016). Of course there are all sorts of groups of people struggling to get to grips with their finances, but those in the workplace can often be overlooked. This is an area in which I am working hard to bring about change. Research shows that a happier and healthier workforce will be more productive and more engaged in their roles and responsibilities (Personnel Today, 2016). To assist businesses improve productivity and profitability, Coventry Business School has designed a financial awareness programme to help employees to better understand their personal finances. In doing so, the aim is that they will feel more in control of their finances, more confident and less stressed, sleep better, resulting in improved productivity and enhanced engagement with the work they do. In the UK where there is an enormous advice gap, financial education may serve as an important vehicle to empower people to improve their finances and their lives. Recently, I was proud to work with three other authors, Jonquil Lowe, Tony Byrne and Jason Butler to create a manual to help today’s students to get to grips with their finances. We are now working on the second book called “Personal Finance: A Practical Guide for Employees”, which is due to launch in 2018. So what can we do going forward? How can you help to extend financial literacy and capability across the workplaces of the UK? I am appealing to financial advisers to get in touch with us if you wish to help with delivery of this brand new and very exciting project to help employees around the UK to gain a greater understanding about money and financial planning. Also, perhaps there may be companies out there who may wish to support/sponsor our initiative. There can be few such projects worthy of your expertise, time and efforts. I firmly believe that we can work together to bring considerable satisfaction and joy to many people across the UK for many years to come. I hope you can join us and help to make a real difference. If you are a financial adviser or planner who, or a business which, would like to learn more about what we do and support us with our financial education workshops, please contact me at ac1648@coventry.ac.uk. 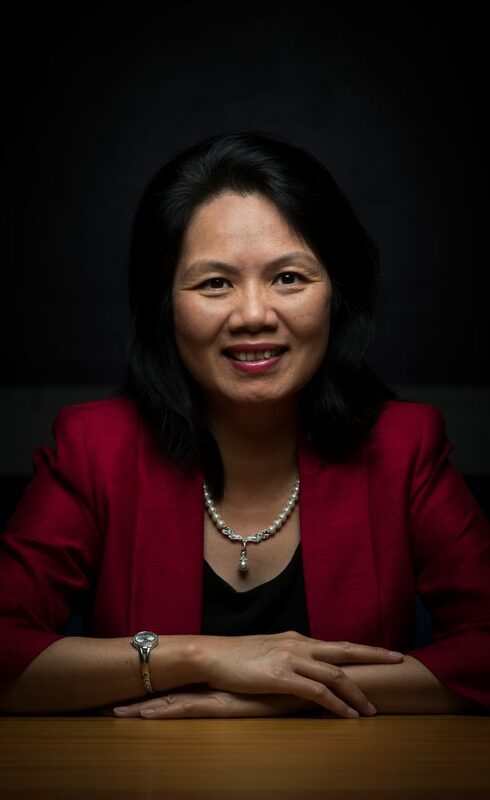 Lien is Associate Head of School – Enterprise and Commercial – at Coventry Business School. She holds a PhD from the University of London and has taught at universities for more than 15 years. Lien is also a Chartered Financial Planner, a Chartered Wealth Manager, a Fellow of the CII and a Registered Life Planner. Lien has previously worked as a financial planner and delivered many financial education workshops to major companies for the FSA. She is co-author of Essential Personal Finance: A Practical Guide for Students (Routledge, 2017) with Jason Butler, Jonquil Lowe and Tony Byrne, and is currently writing Essential Personal Finance: A Practical Guide for Employees with Jason and Jonquil.